Nancy Z. Henkin is the founder and former Executive Director of the Intergenerational Center at Temple University. She is currently serving as a Senior Fellow at Generations United and a national consultant in intergenerational practice, policy and research. Dr. Henkin received her B.S. from Simmons College and her Ph.D. from Temple University. A leading authority in the areas of intergenerational programming, intergenerational community building, and lifelong civic engagement, she has presented at numerous national conferences including the American Society on Aging, Grantmakers in Aging, Generations United, Grantmakers in Children, Youth, and Families, the Rosalyn Carter Institute, National Conference on Volunteering and Service, Southeast Council on Foundations, Corporation for National and Community Service, and the International Consortium of Intergenerational Programs. She has also given presentations in Japan, China, Finland, Singapore, and Europe. 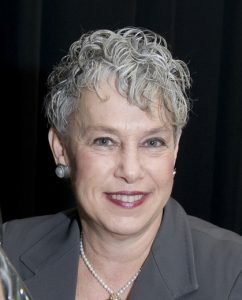 Dr. Henkin serves on the editorial board of the International Journal on Intergenerational Relations and is a member of the Mayor’s Commission on Aging in Philadelphia. She is the recipient of numerous awards, including the Jack Ossofsky Award from the National Council on the Aging (2005), the Maggie Kuhn Award from the Gray Panthers (1988) and the Philadelphia Corporation for Aging (2003), the Professional in Human Relations Award from the Philadelphia Commission on Human Relations(2003), the Marjorie Cantor Leadership Award from Elders Share the Arts (2013).and the Intergenerational Champion Award from Generations United ( 2015). In 2006, she was elected into the Ashoka Fellowship, a global community of social entrepreneurs, for her efforts to build Communities for All Ages.